Many Michigan residents are concerned about the impacts of wolves on the Upper Peninsula deer population. The extent of those impacts is influenced by many factors. However, compared to the deer mortality caused by other sources, including other predators, the impact of wolves on the deer population is relatively small. Several studies have examined wolf kill rates, and recent estimates range from 30 to 50 deer eaten by an adult wolf each year. Wolves prey upon a variety of species, and the proportion of their diet comprised of deer changes continuously. Also, an unknown number of deer eaten by wolves may have died from other causes, such as winter conditions or vehicle collisions. A population of 687 adult wolves (estimated Michigan wolf population in 2011) could eat between 17,000 and 29,000 deer annually. Many of these deer would have died from various other causes if wolves were not present (accidents, winter weather, diseases, etc.). Between 5,000 and 8,000 deer-vehicle crashes are reported annually in the U.P., and even more deer are killed in crashes that are not reported. A severe winter can kill 30 percent (or more) of the deer population. There are about 270,000 deer in the U.P., and hunters killed about 42,000 deer in 2010. Wolves and deer evolved together, and deer possess physical and behavioral adaptations for avoiding wolf predation. Perron also said that by hunting wolves, you really don’t know what’s going to happen in terms of how that affects the pack structure of wolves, since they are pack animals. Natural Resources Commission, POB 30028, Lansing, MI 48909. Call Commission Secretary, Debbie Whipple at 517-373-2352 or email her: whippled1@michigan.gov. This entry was posted in trapping, Uncategorized and tagged grey wolf, Kristy Lloyd, Michigan wolves, Wolfwatcher, Wolves of the Rockies. Bookmark the permalink. The senator, Tom Casperson, who introduced this bill used the usual excuse of reducing conflicts between people and wolves—that wolves are coming into towns and “causing trouble”. One pack of wolves were on a road kill deer outside of a town and he used this as hysteria. IF memory serves, this pack of wolves were killed because of this. If that carcass had been picked up and disposed of out in the woods, which there is plenty of, this wouldn’t have happened. If people live near/with wildlife, they have to be smart about it. There is no biological, scientific, public health-related issues that warrant a hunt on Michigan’s wolves. Thank you, Beckie, for writing this piece. It is very much appreciated!! Once again wolves are being used as pawns for political or financial gain. I hope Michigan can show that co-existing with wildlife is the best option for everyone. There just is no need to hunt wolves anywhere that they are being hunted. Over 1,300 dead wolves as the result of hunting in ID, MT, WY, MN and WI…many of them were trapped before being killed. This does not need to happen in Michigan. Thanks again, Beckie!!! What a wonderful site Beckie, thank you for your heart, your wolf spirit… and this post. Kristi, you are so very correct… no valid reason whatsoever, and that’s the exact point. Just as awareness has always been our greatest hindrance, many still are unaware of what is really happening concerning the Gray Wolf. As you already know, wolves are not just any predator, they are symbols and surrogates of deeper issues and wider conflicts, and are woefully caught up in our inner struggles and outer conflicts. We see this time and time again, in state after state where wolves have either made a come back or are garnering numbers. What amazes me is that a small, very vocal percentage of the populace drives the beast…and I do mean a true beast, one that lives inside all of mankind if you allow it to thrive, that of ego and greed. Every tactic is being employed– ” wolf’ hysteria”, fear, uncertainty, doubt….excuse after excuse, everything except the truth… and the science to back it up. A truth that is neither acceptable or profitable to those who seek the wolf’s demise. 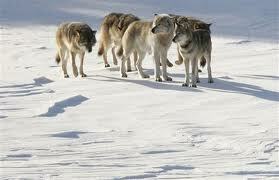 Wolves are not only vital to our eco-system, they also regulate their own numbers according to available prey. And as proven, ungulate populations rise and decline for many factors. least of which are wolves. Hunting any species in mass just because they are now de-listed… to merely meet the minimum requirements of the ESA …or to unsustainable numbers is utter insanity. Wolves are not only losing vital genetic viability but also hierarchical wisdom through which all future generations will be born into, and learn from. We are also a species and therefor not immune to extinction ourselves. Albeit, many are not able to wrap their minds around a basic concept that we are all connected. Still, perhaps it is one we need to fully reconcile within our hearts before it is indeed too late, not just for our wolves, but for ourselves. I am with you in spirit and wish you every success as you battle for our wolves in Michigan. Do you have an organization, such as WE VOW in Wisconsin, where like minded people may join in the fight? HOWLS!!! Thank you, Brea. You can go to Keep Michigan Wolves Protected, either their website or Facebook page to get info. 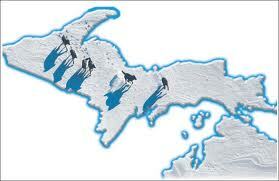 If you live in MI find out where you can sign a petition, we have until March 20. Thank you for writing to the DNR, Beckie, and for spreading the word! Kristie, thank you for the information. I live in Pennsylvania where the only wolves I see are those who are destined to be behind fences for the rest of their natural lives. Our wolves are loved and cared for, although how tragic that these majestic wild spirits will never know know what it is to truly run free, This is what inspires me to do whatever I can to help their wild kindred live that dream. I also have a page on a social network dedicated to wolves and nature and have been trying to keep up on the very latest to be certain that I can do my part to spread awareness. I am hoping that advocates can unite regardless of where we live, wolves need all of America to stand up and speak out. Wolves and eagles are symbolic to many bikers. My hope is to somehow have a “Bikers For Wolves” trek across America, a roving bulletin board of awareness! Also, Summer is also fast approaching, would anyone be interested in hosting a “Bikini Car Wash” in their area for wolves? Now that would definitely get attention! Proceeds could go to local wolf advocacy groups or to others who are fighting court battles. The opposition seems to have a never ending supply of funding so we need to think outside the box. Beckie, what do you think?